Having our Premium Merlin Annual Pass has honestly been brilliant so far this year and we still have the summer ahead of us. We’ve had days out at Chessington World Of Adventures, Alton Towers, Legoland, Thorpe Park, Warwick Castle and Sea Life Centre. I’ve captured so many wonderful moments and memories from our visits. For these visits, I’ve always been behind the camera. We recently headed back to Alton Towers and thanks to our Merlin DigiPass I couldn’t wait to go on some rides which would take photos of us enjoying them. Not only do these photos have all of us in them, which are my favourite photos. But I love that you never know what they are going to capture until the end of the ride and you nervously head over for a look. The girls thought it was brilliant and couldn’t wait to find our photo on the screens. The minute they spotted it, they would shriek with delight. 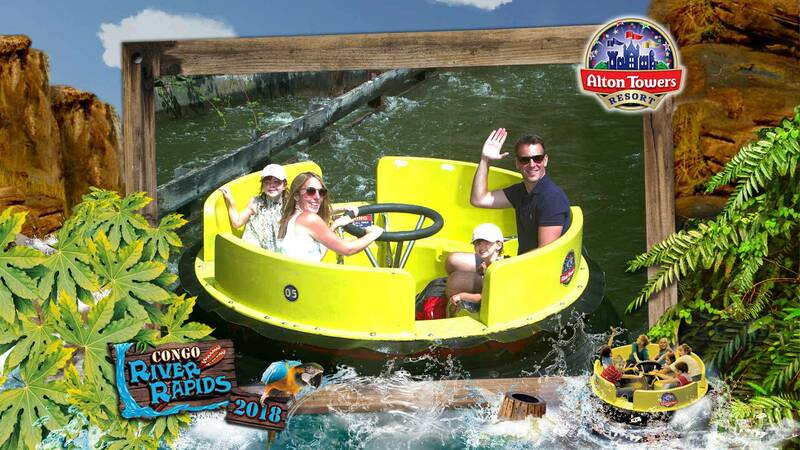 One of our favourite family rides at Alton Towers is the Congo River Rapids, I used to love them as a child and it’s great that we can all enjoy them. Holly loves it if she gets a bit wet, whilst Alice hates it. It’s funny watching Alice try to miss the splashes! We all look so happy and it really does sum up, the brilliant trip that we were having. The girls love Cbeebiesland and this is where we spend most of our time when we visit Alton Towers. The girls love all the rides and they take it in turns to choose our next ride. A favourite of theirs is having a ride in Postman Pat Van. Postman Pat was Alice’s first favourite programme to watch when she was a toddler and she has her own Jess teddy that used to come everywhere with us. When we go on the ride it always reminds me of her 2nd birthday which was Postman Pat themed. I was 9 months pregnant with Holly and ready to pop, and my wonderful Mum made Alice a cake in the shape of Postman Pat’s Van and she loved it. As a parent what is great about the ride is that both girls can drive the Van and there are 2 steering wheels, meaning no arguments. They love getting to drive us around, with us sat in the back. The photo flash went off, just as Alice turned her head, so it’s not the best photo angle for Alice. But I still love it. It’s thanks to having our Merlin DigiPass that we have these photos captured, memories that we will remember forever and to have us all in the photo together. I love them! Merlin are offering free DigiPass with all Premium Annual Passes. The DigiPass offers unlimited resort theme park digital photos with every Premium Merlin Annual Pass purchased before 1st September 2018. The DigiPass sale ends at midnight on Saturday 1st September 2018 so don’t wait around to snap up this brilliant offer. I can’t wait for our visits over the summer where we can capture more photos of us enjoying ourselves as a family. The rides sound and look like fun. Never been to any of these parks before except Legoland and Sea Life. 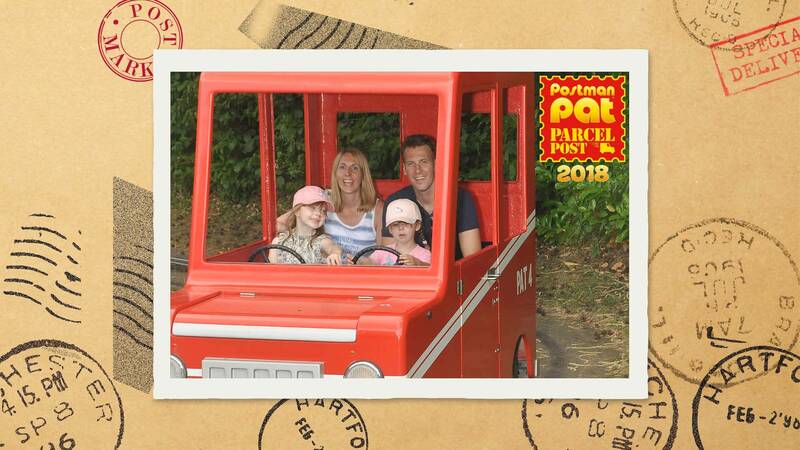 I love the look of the postman pat ride – I would have loved this as a kid as I was a BIG FAN! Love the sound of the pass, great pics! The rides look like really good fun. The pass sounds like a great idea, love the pictures as they make great keepsakes for years to come. That looks like a great offer and it is definitely important to be in the pictures as well as taking them! That’s a great idea, we always say no to buying the photos from theme parks but would definitely upgrade to a pass with a free digipass so we could have them digitally to keep.